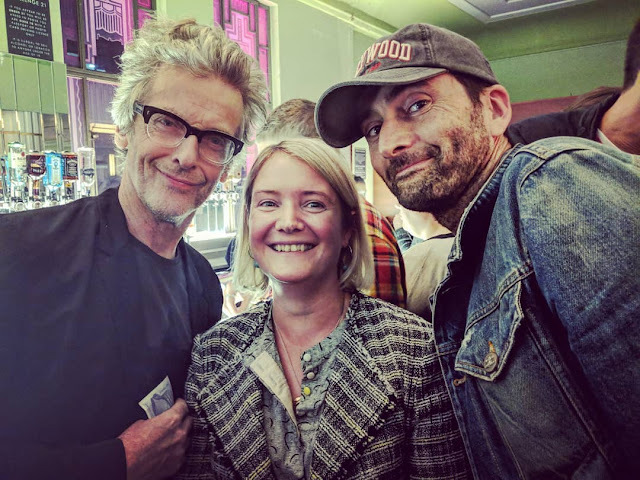 Much to the excitement of Doctor Who fans there was more than one Doctor in the house at last night's performance of League of Gentlemen Live, with both David Tennant and Peter Capaldi in attendance at the Eventim Apollo in Hammersmith. The former Timelords, who were watching pal Mark Gatiss perform, were amongst a Doctor Who alumni packed audience which also included John Simm, Georgia Tennant, David Walliams and Neil Gaiman. Luckily the meeting didn't cause any glitches to the the space time continuum and the only after effects were some seriously happy whovians. Watching League of Gentleman Live, feel like I’m at the Baftas or a Doctor Who convention.